The future is here! 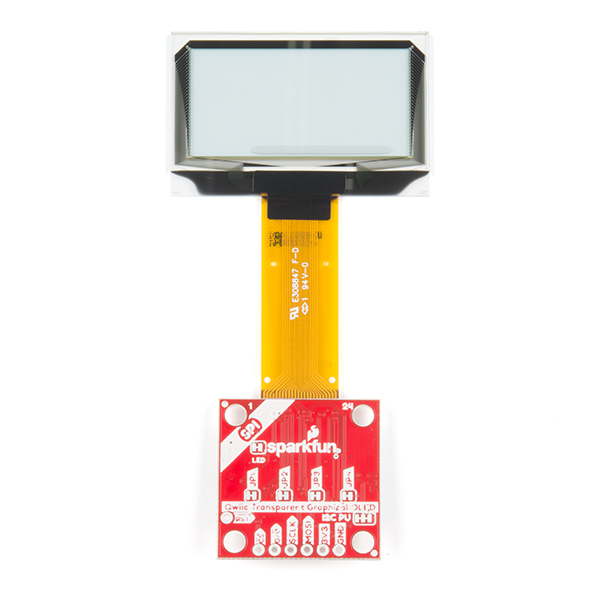 The SparkFun Qwiic Transparent Graphical OLED Breakout allows you to display custom images on a transparent screen using either SPI or I2C connections. 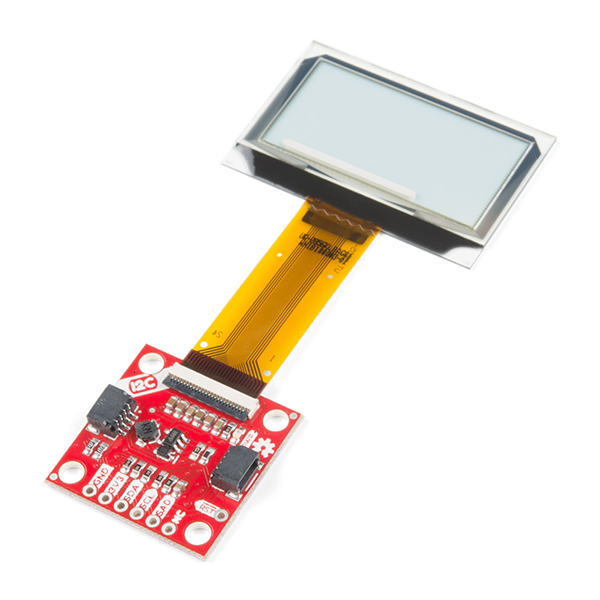 Brilliantly lit in the dark and still visible by daylight, this OLED sports a display area of 128x64 pixels, 128x56 of which are completely transparent. 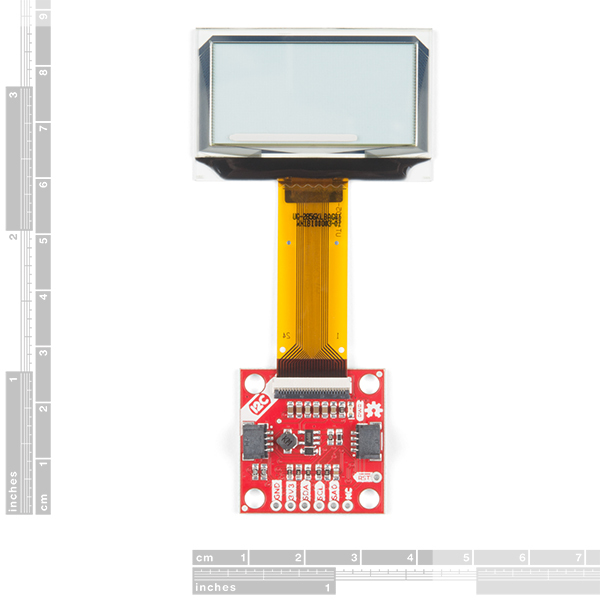 Utilizing our handy Qwiic system, no soldering is required to connect it to the rest of your system making it easy to get started with your own images. However, we still have broken out 0.1"-spaced pins in case you prefer to use a breadboard. The Arduino sketch required to drive this display requires quite a bit of dynamic memory, meaning that it is not going to fit on a smaller controller like an ATmega328. 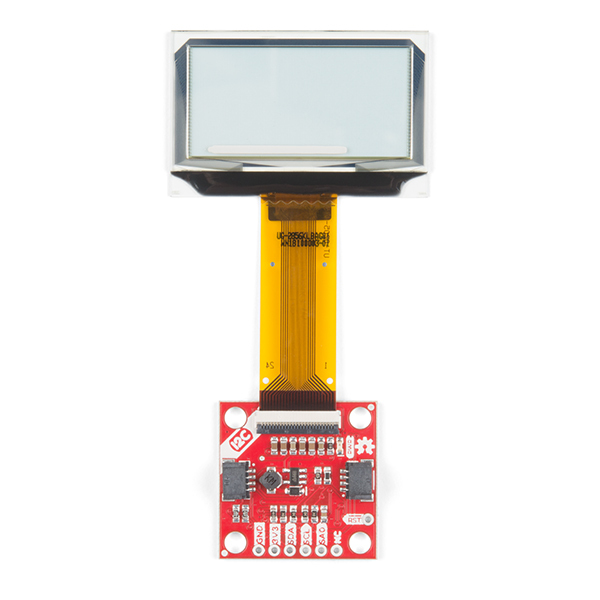 Control of the OLED is based on our new HyperDisplay library and any controller with larger RAM should have no problem. In addition, your 3.3V source should be robust enough to supply around 400mA to the display.